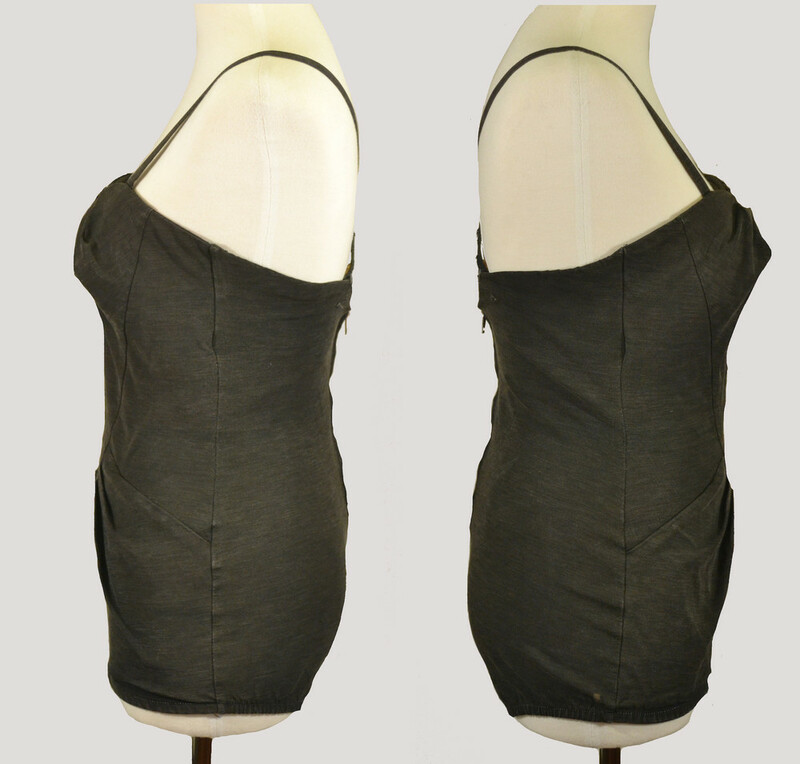 Please scroll down to see images of The Lombard 1940s Bathing Suit modeled and in closer detail. Inspired by: Carole Lombard (but of course!). Material: Synthetic with bakelite buttons. 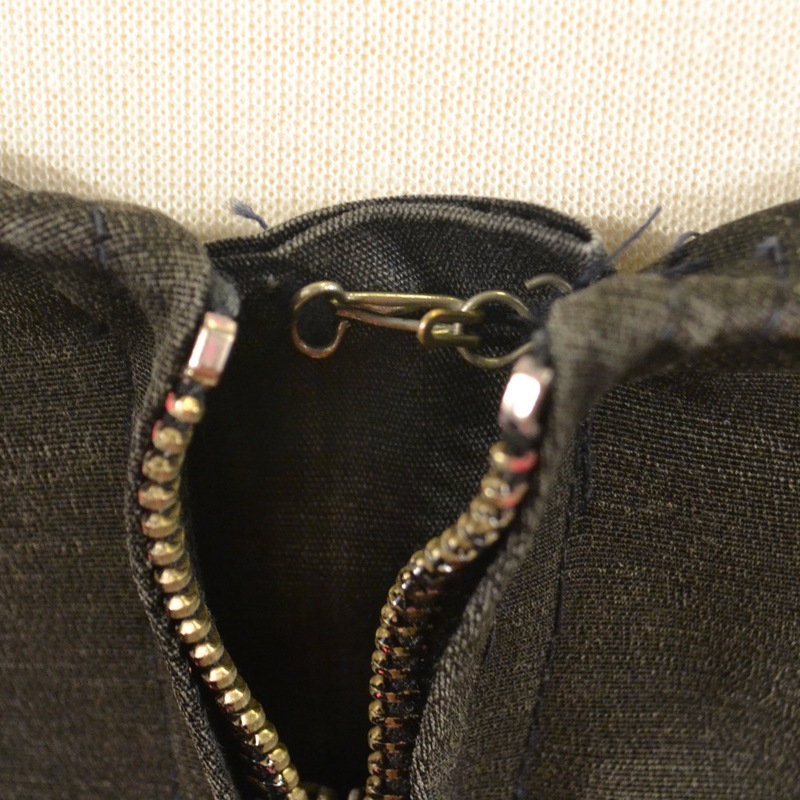 Closure: Back metal zipper with metal hook-and-eye closure. 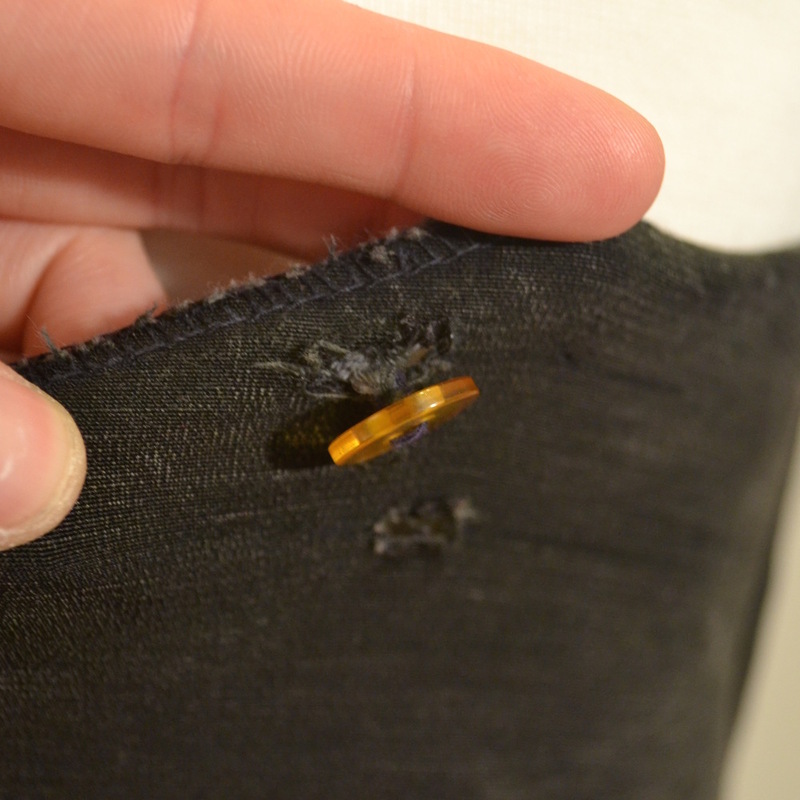 The straps have three button holes (for sizing) that correspond to the single bakelite button found on each side. 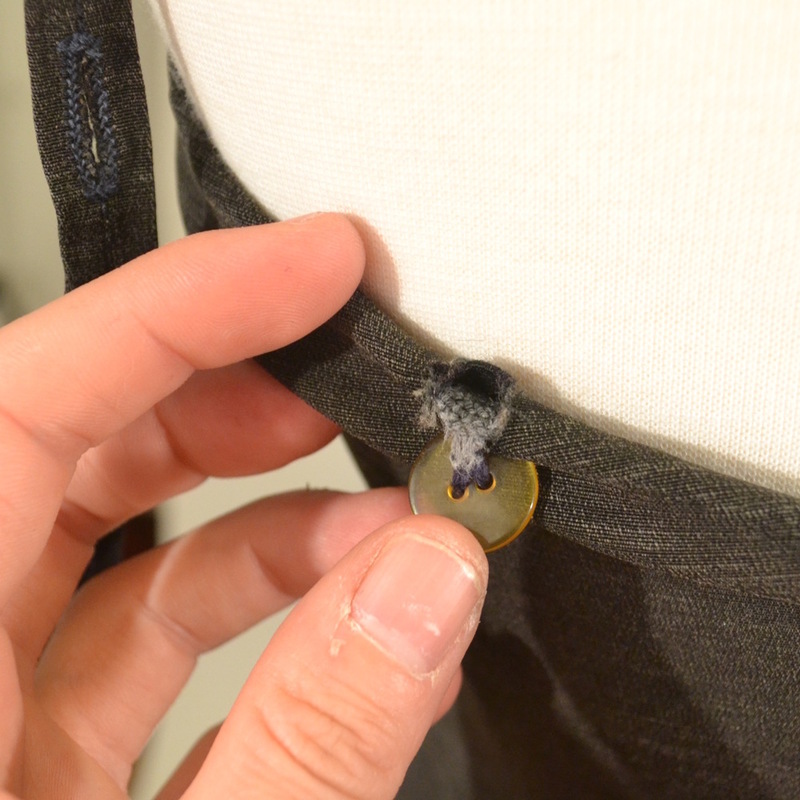 The button is sewn into the suit. What a stunner! This suit was built to last and can certainly still be worn for a day at the beach. I also recommend wearing it as a pin-up costume with red lips and heels . . . Please see the images below for more detail, but imperfections include: minor 1/4" discoloration on the lower right leg area; two 1/4" holes under the actual buttons where other buttons may have once been placed; visible thread near the buttons; slight color fading over time. Straps can be worn criss-crossed or straight across the back. Modeled by Jenn. Heels not included. 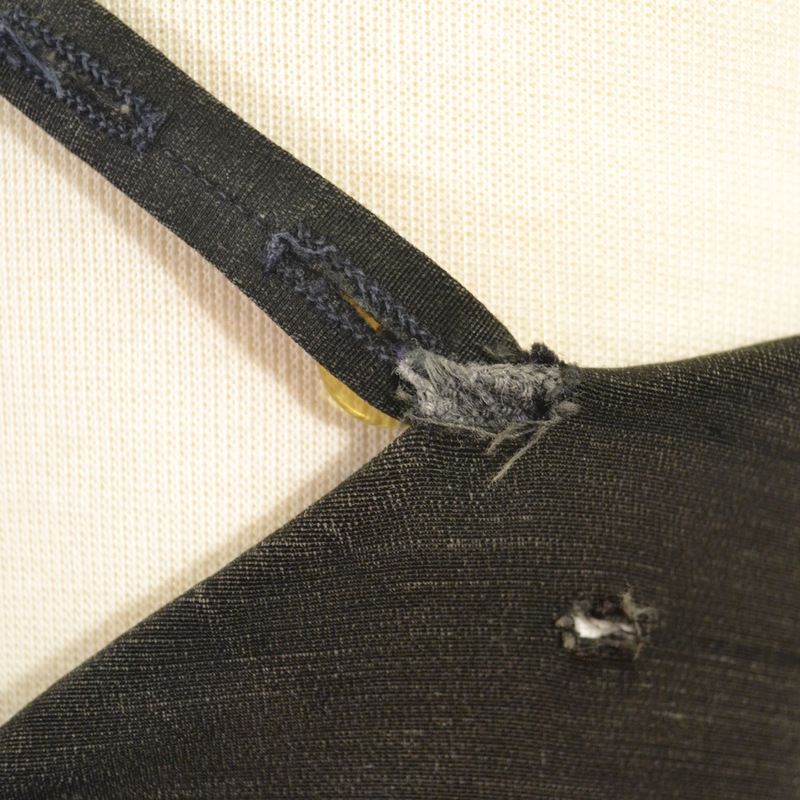 Back: notice the exposed thread and 1/4" hole. 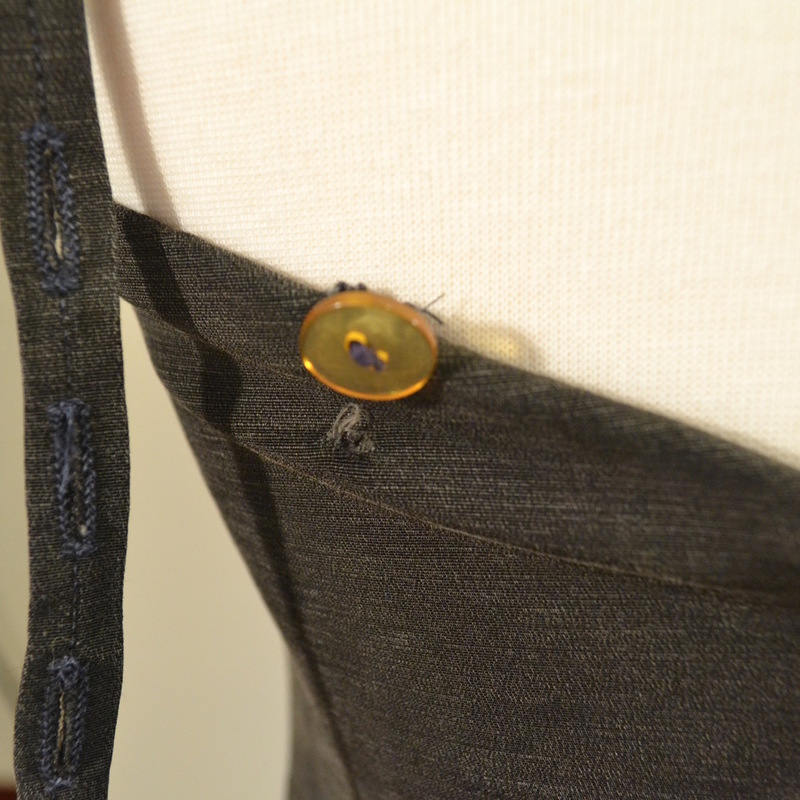 Button and strap detail. Notice the exposed thread.